Plymothian Transit: Brand New Citycoach! 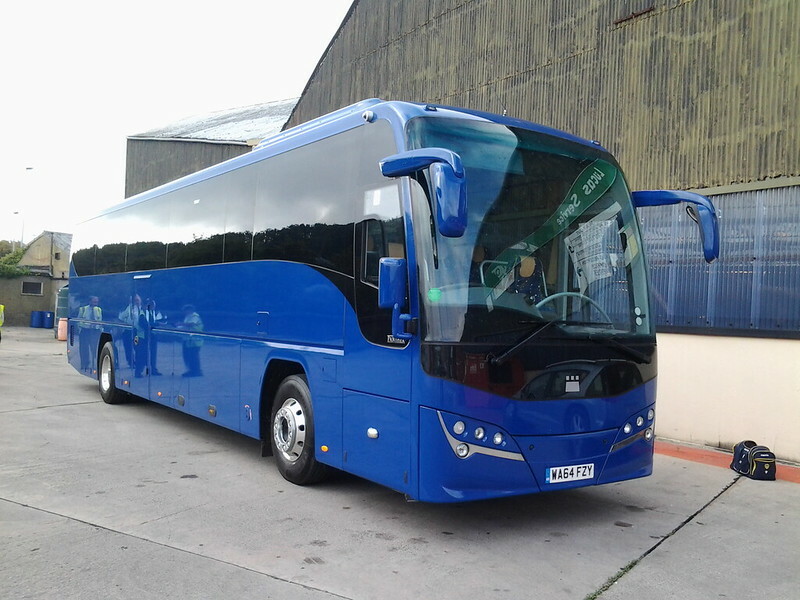 A brand new arrival at Milehouse: Plymouth Citycoach WA64FZY. Cant wait to see her in the full Citycoach livery! Thanks to Brian George for the photo. Nice, be great to see it livered up. Interesting to note that First once had a dart in Plymouth (which I think is now in Cardiff) which was WA56FTZ (fleet number 42969). And the relevance to the Dart is....... what, exactly?? There is no real relevance to the dart, its just Graham wrote WA64FTZ at the top and it reminded me of WA56FTZ. The actual number plate of the coach is WA64FTY - so my observation is even more of a vague one now! Great to see they're still investing in the Citycoach fleet. Very smart. Check VOSA Graham, Plenty of Citybus and First changes for November 23nd. Will it be fleet number 319?